I’m throwing myself head-first into starting the Elf on the Shelf/Elf for Christmas thing this year – it’s not something I’ve done before so I’m slightly clueless. 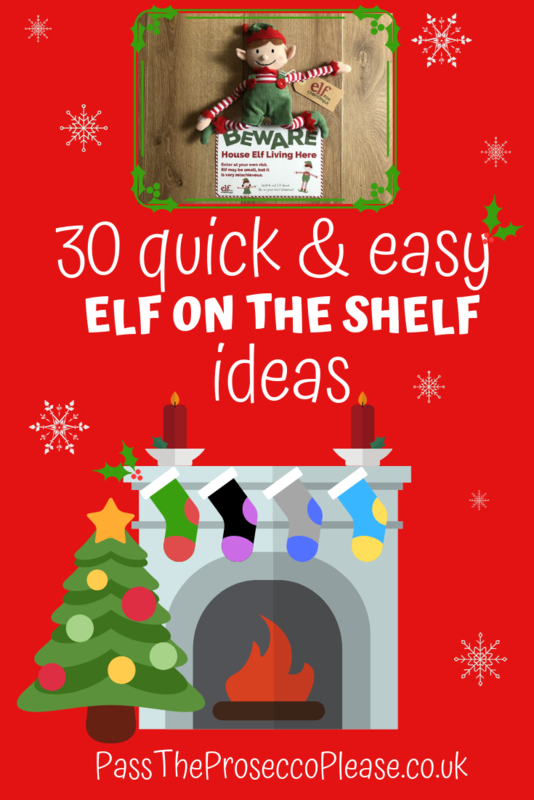 I’ve seen people on social media do elaborate and sometimes expensive things – can Elf on the Shelf be done quick, easy and cheap? 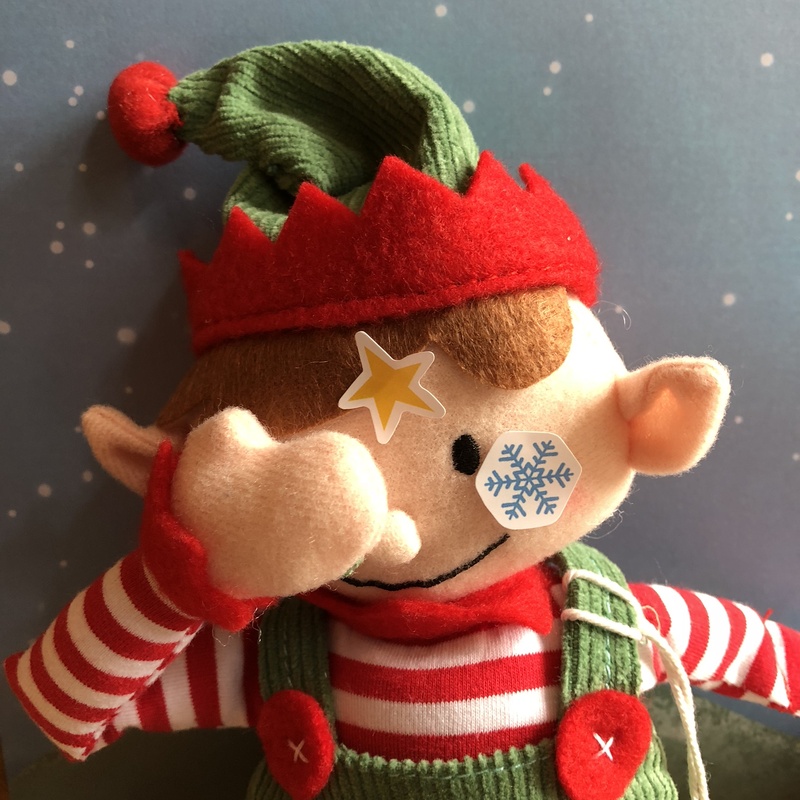 (We were sent Pickles the elf from An Elf for Christmas to review – check out the review here and buy your own here). 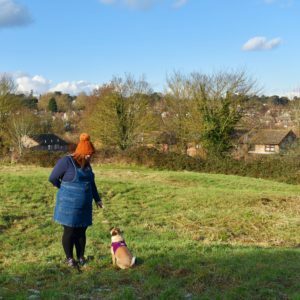 I’m the most disorganised parent ever – how on Earth can I commit to moving an elf every day for a month? So I’ve come up with some super quick and easy Elf ideas that don’t involve elaborate props and lots of time. Everything on the list can be found around the house and setup within five minutes – winner winner, Turkey dinner. Elf arrives. Plonk him on the shelf with a book or note explaining who he(or she) is. You can fly him in on a handkerchief parachute or drone if you like, but we’re going quick and easy here, so no flash stuff. climbs the Christmas tree. Standard. make a snow angel. Chuck some flour down and roll the elf in it. Done. wrap a teddy in toilet roll. playing with toys. Have a tea party with the dollies or build a house with the Lego bricks. wrapped up in a tea towel in the fridge. Oh dear, he’s fallen asleep in the fridge. drawing & colouring. Crayon in hand, done. Christmas list. Paper, pen, and voila – you can write your Christmas list. list delivered & biscuit. A note and a biscuit – super lazy but quick. toy amnesty. Plonk lf in an empty washing basket with a note explaining any unwanted or outgrown toys need to be popped in the basket for recycling. A good way to declutter. hanging pants. Find (clean) pants and hang them on the stairs. Because pants are funny. Christmas card. Just to say Merry Christmas, as a reminder to be good or for anything really. swing. Make a swing using string and a loo roll inner, attach the elf to it and you’re good to go. milk drunk. The elf drank all the milk and is now passed out on his shelf. Silly. paint the bath with toothpaste. Not the whole bath, obviously – make a smiley face or write a message or something. rides a toy vehicle. Plonk elf on the car. Done. reads the other toys a book. asleep in an empty sweet packet. See 14 – but a sugar-induced coma. sitting on the top of the Christmas tree. Why not remove the star for dramatic effect, stick it atop the elf’s head. abseiling. Tie string around his waist and make it look like he’s abseiling down the stairs. Easy peasy. baking. You could do this a few ways – either leave the decorations out if you are making a Christmas cake for you all to do, leave some bits out to suggest making some biscuits for Father Christmas, or make it look like the elf has baked and eaten all the biscuits for ultimate quickness. broken leg. Someone suggested that if you need a week or two of no elf activity you could make a paper plaster cast and leave a note saying he’s out of action. A bit of a cheat, but go for it is necessary. asleep in the dog/cat bed in a sleeping bag. Make a sock sleeping bag by putting the elf in a sock, then find somewhere obscure for him to doze off. If your pet has a tendency to eat or chew then I wouldn’t suggest the pet bed a good idea…. asleep on the sofa next to the TV remote and an empty drink. Christmas jumper. This doesn’t have to be a new one, could be last years if it fits but if you have something festive planned such as a Grotto visit then plonk Elfie on top of the jumper, as if he delivered it. foil outfit. He thinks he’s a spaceman in a foil hat and suit. Crazy. in his sick bed. 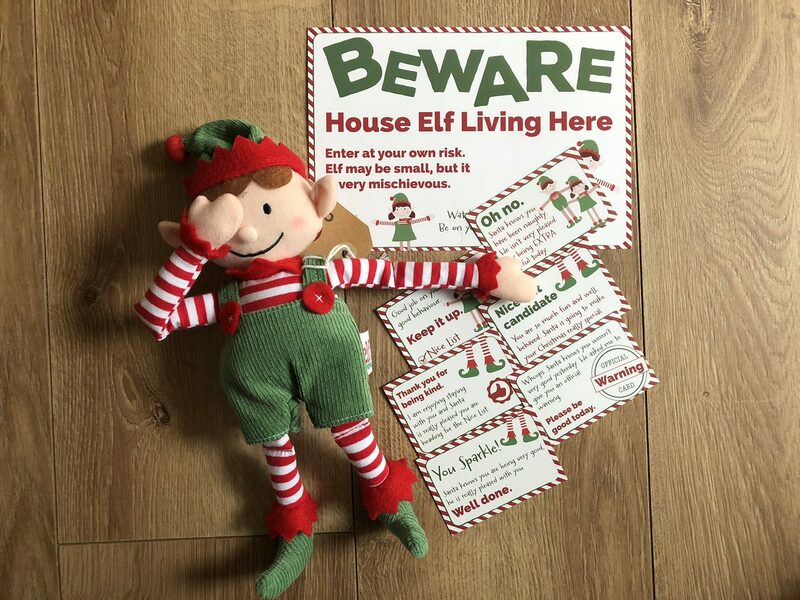 This goes back to the broken leg scenario – if you find you are unable to move the elf for a few days then make him a sick bed and leave a note saying he’s out of action until he’s better. tape him to the wall. Stick him to the wall and leave the offending toy clutching the tape. Mwahahahaha. Christmas film. Appreciate we are in a digital age of Netflix etc. so he could always clutch a note and a hot chocolate kit or popcorn for a movie night or something. swinging from the lampshade. Attach string to Elf, and then to lampshade. Done.